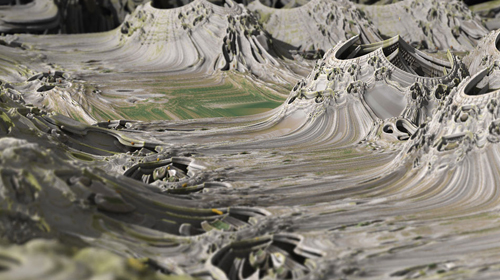 3D fractal environments both beg and dare you to enter them. There is an undeniable veracity to the spaces created by Mandelbulbs and other 3D fractal objects. Like little planetoids, these objects appear accessible, and as if they had sprung from a different form of nature. These things definitely exist, and they certainly feel that way, even though we can only see them in number-space. As with any other photograph – such as a snapshot of the Grand Canyon – the viewer can’t help but imagine what it must be like to observe that scene in reality. Try to project yourself into fractal space and explore what it feels like there.